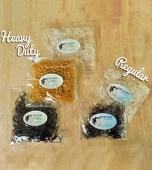 Regular Pro Elastics: These are tiny with about a 1cm diamter and have a low profile so are used mainly when sectioning off your hair in preparation for making dreadlocks. 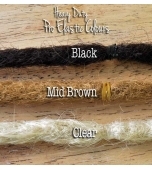 They can also be left at the base of the dreadlock after installation and also applied to the tips. 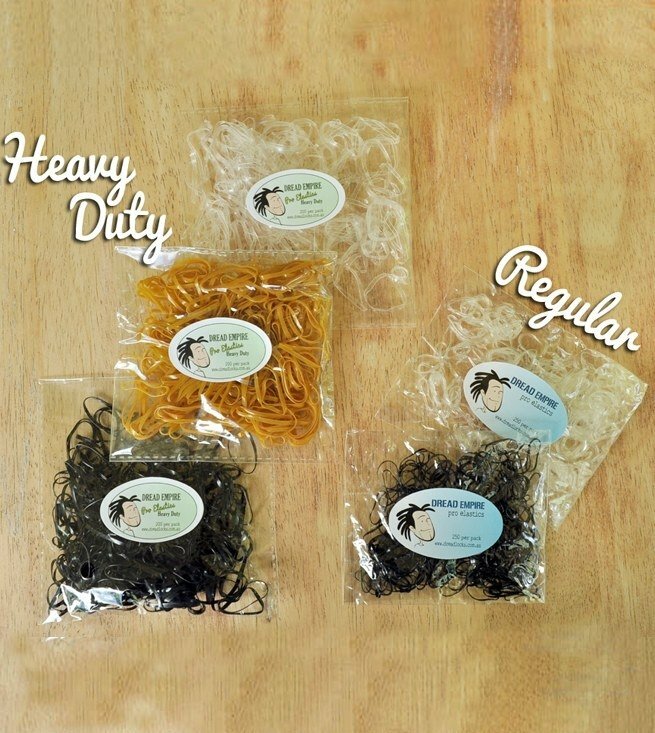 For the short term, they do a great job in keeping a new dread in tack while it starts to mature and also throughout your first shampoo. After this though, it is recommended that they be removed so they don't inhibit the ongoing locking and dreading. 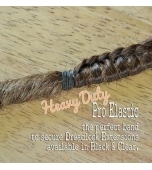 Heavy Duty Pro Elastics: This size measures in at about 2cm in diameter and are much stronger than the regular elastic making them perfect for installation of dreadlock extensions or for those who are looking for a stronger, more durable band.